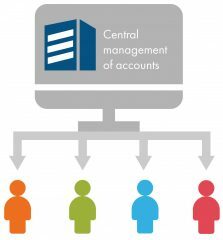 Digital asset management and automated investment advice are becoming a feature in the offices of investment services providers. One of the major questions for the future of the industry is how much “human input” must or should be contained in a personal advice meeting or in securities transactions. Automated tools often have expensive development costs, but promise a cost reduction in the long-run, which can also be passed onto clients. It is however a challenge ensuring that the algorithms really run without a hitch and that processes are transparent for both clients and the supervisory authority alike. In addition to the general risks of the products it is also necessary to adequately estimate the risks associated with such tools. Last but not least it is also a cultural question of whether as well as which computer-based applications are attractive for clients. Providers that use such systems, may be subject to supervision by the FMA on the basis of the services provided using such systems (investment advice, receiving and transmitting of orders, trading, …). In this sector, both activities requiring a licence under the BWG and activities requiring a licence under the Securities Supervision Act 2018 (WAG 2018) should be observed. Investment services requiring a licence pursuant to Article 3 para. 2 WAG 2018 come into question, as well as the banking activity of trading on one’s own account or on the account of others pursuant to Article 1 para. 7 nos. 7 and 7a of the Banking Act (BWG; Bankwesengesetz), as well as brokerage activities in accordance with Article 1 para. 1 no. 18 BWG. Article 1 para. 1 no. 7 BWG defines trading on one’s own account or for others in specific instruments (in particular securities or many types of derivatives) as being a banking transaction that requires a licence, provided that the instrument is not being traded for private assets. On the basis of the current legislation, companies may not rely on this exemption. No. 7a in turn addresses trading in specific other financial instruments. In terms of the applicability of the activity of trading, it does not make any difference whether processes are (partially) automated. 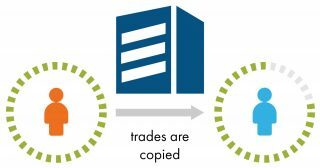 Therefore a licence is not required for the use of a trading algorithm, provided that trading is conducted solely for private assets. The broker or the bank, through which you trade, on the other hand does require a licence. Such a licence may also have been granted by an authority within the EEA, if the provider is active in Austria by means of the freedom to provide services or the freedom of establishment (notified EEA companies can be found in the Company Database). Portfolio management requiring a licence pursuant to Article 3 para. 2 no. 2 WAG 2018 may in particular exist, in the event that you control the system. This is generally the case for centrally connected trading accounts of cases of copy trading. 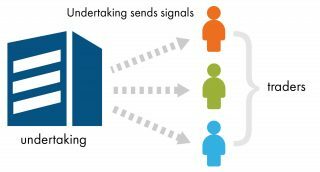 If the system generated personal entry and exit signals tailored to the customer, then this probably constitutes investment advice pursuant to Article 3 para. 2 no. 1 WAG 2018. If your system transmits orders for execution to banks, brokers or issuers, (i.e. 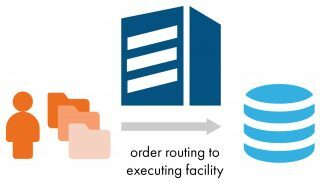 an order routing system), then the activity of the receiving and transmitting of orders pursuant to Article 3 para. 2 no. 3 WAG 2018 should be observed. If you receive funds or securities on your account (even if they exist at a provider already holding a licence), deposit-taking business pursuant to Article 1 para. 1 no. 1 BWG and/or custody business pursuant to Article 1 para. 1 no. 5 BWG most probably is being conducted. An obligation to publish a prospectus in accordance with the KMG may be an issue, where participation in a trading programme occurs by means of an investment or a security, that you publicly offer. 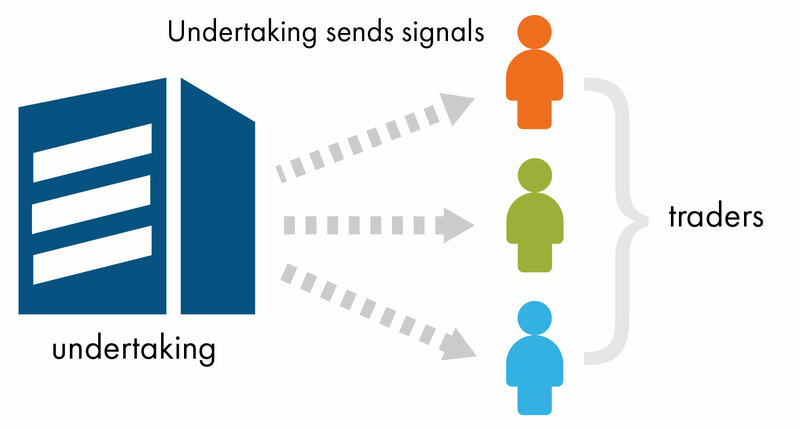 In addition to algorithmic trading facilities automated advice systems may only be operated while taking into consideration the investment advices activities requiring a licence pursuant to Article 3 para. 2 no. 1 WAG 2018. Regardless of the level of automation involved, investment advice shall be deemed to exist, if a personal recommendation is provided as defined in Article 1 no. 3 lit. e WAG 2018) to buy/sell/hold financial instruments. Such advice should not be provided unless a licence is held. The conceptualisation of an automated advice system does not trigger a requirement to hold a licence. This means that you may set up such a system without a licence, and subsequently make the system available to a licenced undertaking for its activities, but you may not however operate the advice system in your own name. Systems that do not deal with the trading of securities, but which advise about other products, may also trigger the requirement to hold a licence: Article 1 para. 1 no. 18 BWG lists brokerage activities, in particular for lending business, bank guarantees/suretyships and deposit-taking business. Applications, for example mobile phone apps or online platforms, which following the entry of customer data then subsequently mediate certain products, may also be covered by such activities. However, the mere listing of product information, for example on comparison platforms, does not require a licence. In this context it is important to also take into consideration the activity-related definition of the term insurance mediation, which in any case covers advice on insurance matters. Insurance mediation as defined in Article 137 para. 1 GewO is “the offering, suggesting or conducting of other preparatory work in relation to the conclusion of insurance contracts or the concluding of insurance contracts or assisting in the administration or performance of such contracts, in particular in the event of a claim.” Provided that these activities are not performed by an insurance undertaking or an employee of an insurance undertaking, who is active under the responsibility of that insurance undertaking, and is thereby covered by the licence of the insurance undertaking, the relevant business licence is required for their performance on a commercial basis. Credit institution may also only perform insurance mediation activities where they hold the relevant authorisation from the FMA to extend their business purpose to include insurance mediation activities pursuant to Article 21 para. 1 no. 8 BWG. You will always require a prospectus, if securities or investments are being publicly offered, and where there is no applicable exemption as defined in Article 3 KMG. Put simply, the obligation to produce a prospectus should be checked in any case, provided that you collect funds from a broad circle of investors. Depending on the design it may constitute a security or an investment. Examples of types of securities are shares, bonds or certificates; examples of investments may include limited partner participations, silent participations or subordinated loans – however this always depends on the design on a case-by-case basis. The FMA is generally responsible for the approval of a securities prospectus in Austria, while investment prospectuses are checked by external auditors and submitted to the OeKB. The obligation to publish a prospectus may also exist for signal, social or mirror trading systems, such as in the case where participation in a trading programme occurs by means an investment or a security, that are being offered publicly.If you yourself want to finance your FinTech company by means of securities or an investment pursuant to the KMG – you thereby are the issuer – the usual scope of application of the KMG listed above applies and you or anyone else, who publicly offers this, are required to publish a prospectus under the KMG.